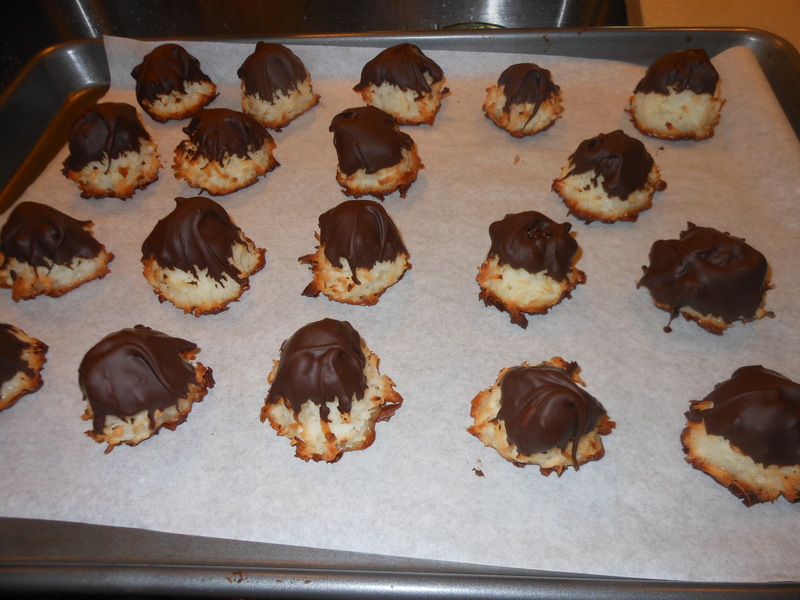 *When dipping, just turn macaroon upside down (with peaked part into the chocolate). I usually go just a bit more than the top (probably 1/2 the macaroon into the chocolate). Use as much or as little as you like. 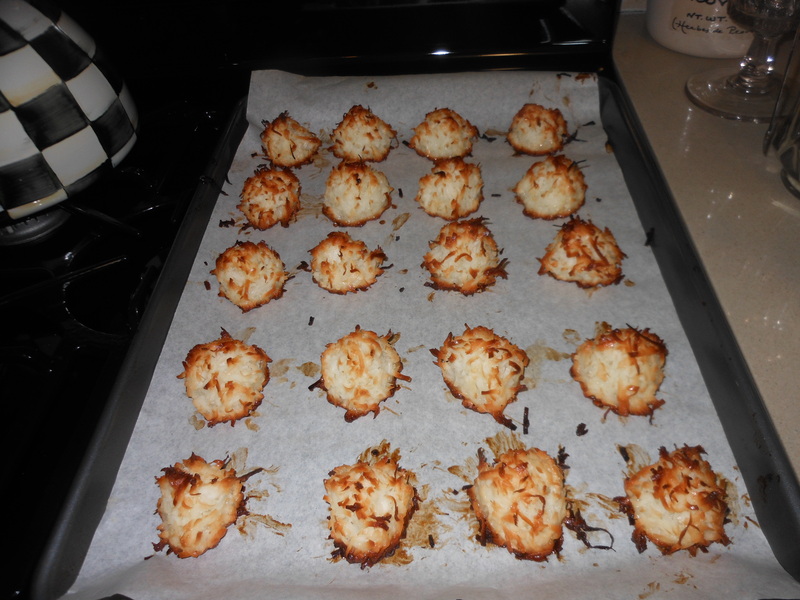 Using a level tablespoon (measuring ones are perfect), pack the mixture into the spoon, so all macaroons are equal size. 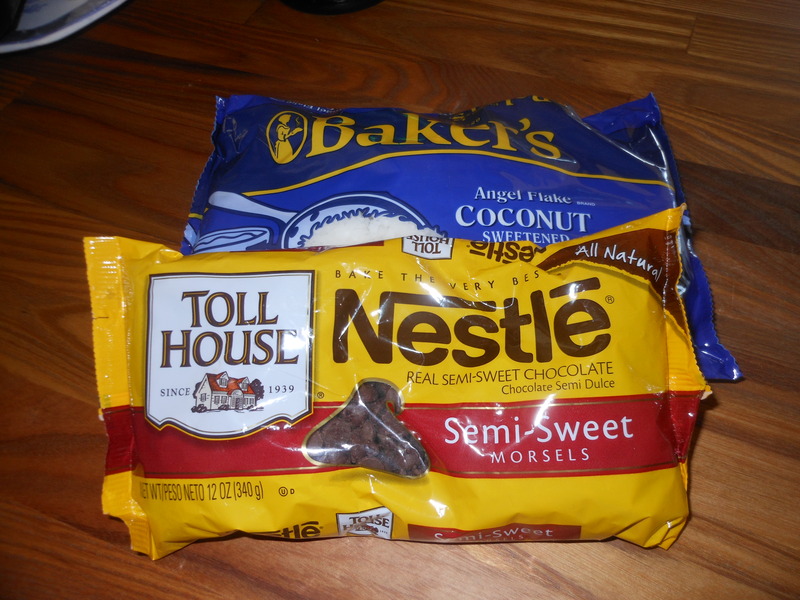 Drop mixture onto prepared sheet (cookies will not spread). Bake until golden brown, about 25 – 30 minutes. Towards the end, check on them to be sure they don’t burn. I make a little peak with my fingers on the cookies before I bake them (this makes for easier dipping). *just a little note, silpat is awesome to use for this recipe instead of parchment paper. You must cool completely before trying to lift off the paper. 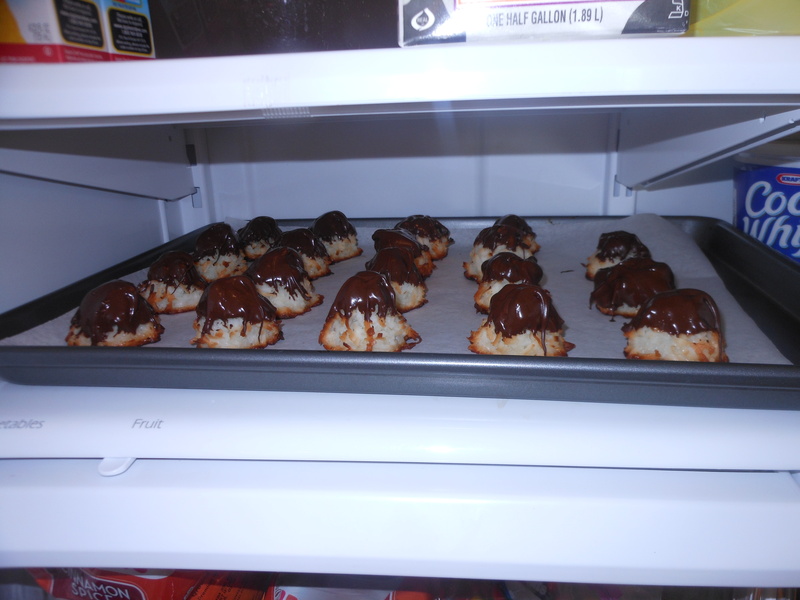 Also before you dip macaroons into the chocolate they must be completely cooled down.